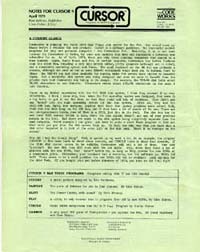 CURSOR Magazine, by Ron Jeffries (Publisher) and Glen Fisher (Editor), by the Code Works. 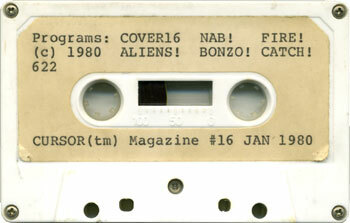 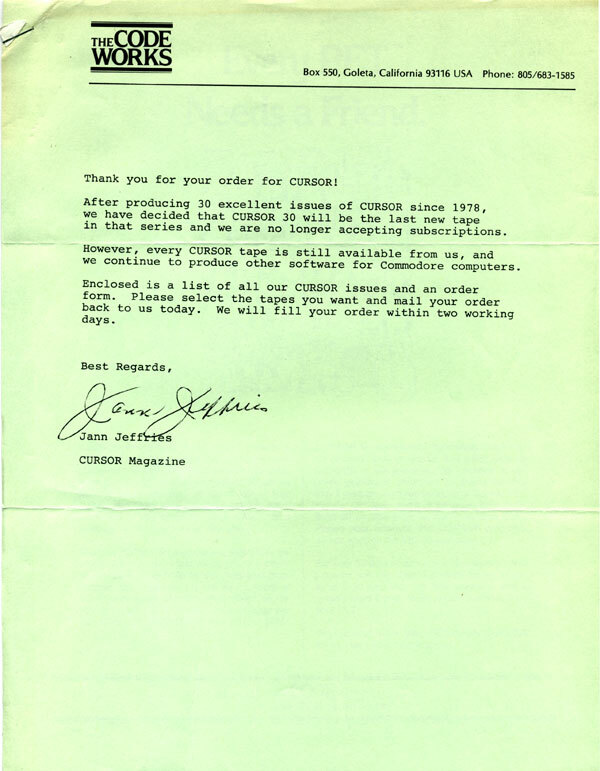 Subscriptions to CURSOR consisted of a cassette tape with several programs and a newsletter that included a page or so of Commodore news on one side and a brief description of the programs on the other. 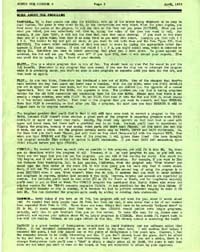 I had most issues from #9 through #30. 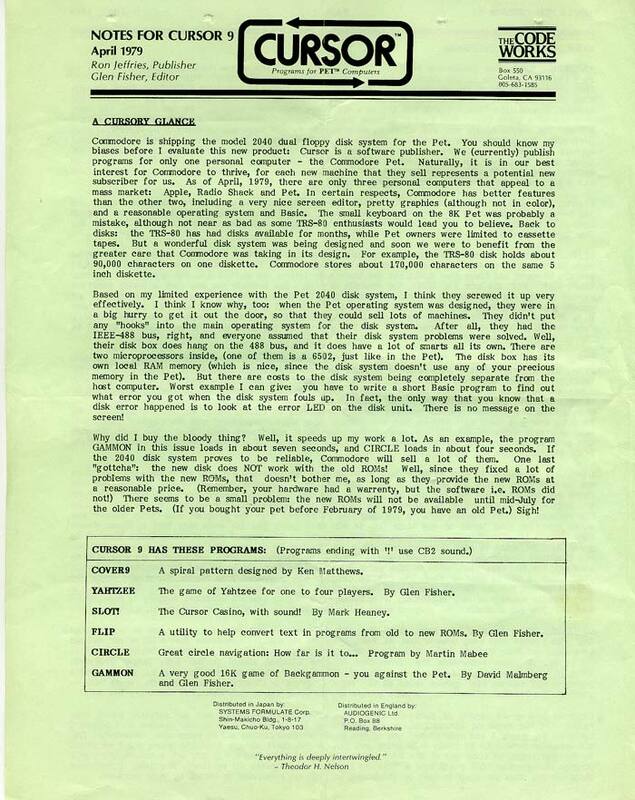 Shown here is issue #9, published April, 1979. 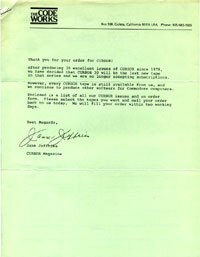 Letter from Jann Jeffries announcing the last issue of CURSOR. 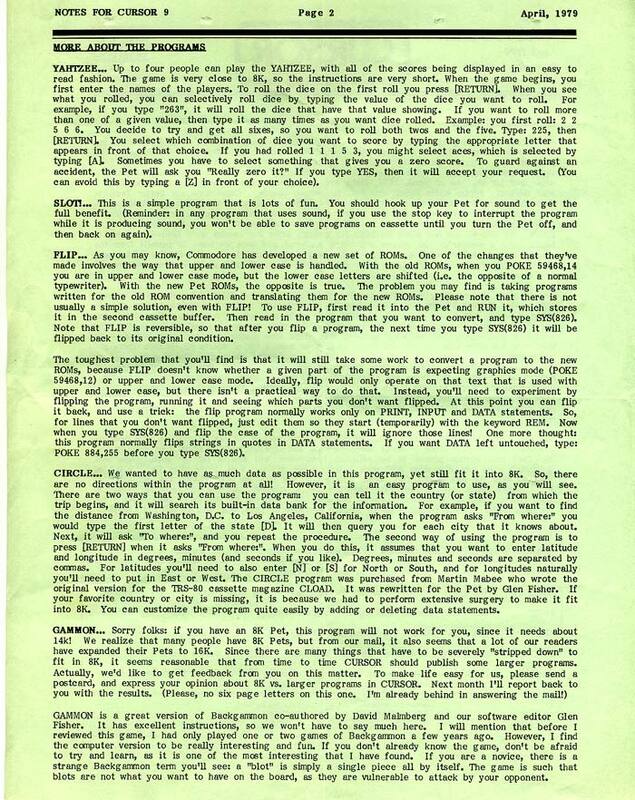 Dig the retro typewritten label.